Washington Capitals star Alex Ovechkin finished the playoffs playing through a lower-body injury that required pain-numbing injections. 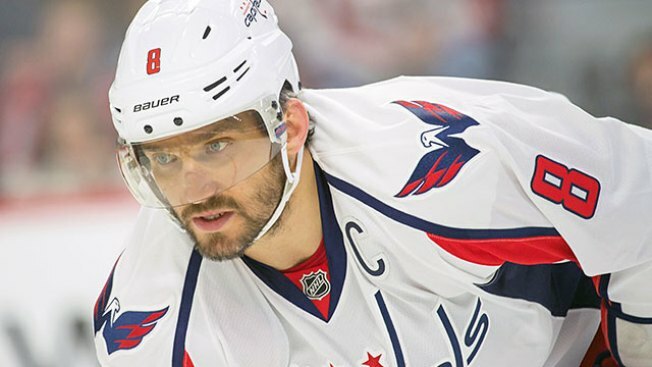 The Russian Hockey Federation announced the injury Thursday, saying Ovechkin would not be able to play at the world championships in Europe because of it. A person with direct knowledge of the situation confirmed the injury and treatment to The Associated Press on condition of anonymity because the team hadn't announced it. The Capitals captain made no mention of an injury during the playoffs. Coach Barry Trotz is expected to address all team injuries at his post-season news conference Friday. It was not immediately clear when Ovechkin was injured or how severely. He did not miss a game but briefly left late in the first period Game 5 of the first round after clutching his knee following a hit from Toronto's Nazem Kadri, returning for the start of the second. Trotz moved Ovechkin to the third line midway through the second round against Pittsburgh, slightly reducing his ice time. After the Capitals were eliminated in Game 7 on Wednesday night, Trotz said he wasn't “emotionally” ready to talk about Ovechkin. Ovechkin had five goals and three assists in 13 playoff games. He has played at the world championships 12 previous times, including in 2013 when he finished the playoffs with a hairline fracture in his foot.